It’s easy to see why it’s fun to work with kids. Children are endearing, amazingly courageous, and often surprisingly insightful. It is not so obvious why it is it is such a privilege to work with parents. A mother with a sick child can be overly anxious, stressed, and opinionated. However, if you dig deeper, I think you’ll be inspired, as I am on a daily, by a mother’s strength and generosity as she struggles to do the best that she can for their children. There is no love that is more intense than a love that a mother has for her child. So in honour of the upcoming Mother’s Day – I celebrate every mothers with gratitude. The Global Mom Relay is using the power of social media to tell “stories of motherhood” around the world. For each story that is shared via Facebook, Twitter, or Email, $5 is donated by Johnson & Johnson and the Bill and Melinda Gates Foundation to these four charities: Girl Up, Global Alliance for Clean Cookstoves, Mobile Alliance for Maternal Action, and Shot@Life. 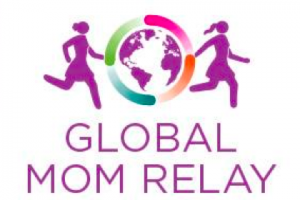 Check out the Global Mom Relay for yourself – share freely!